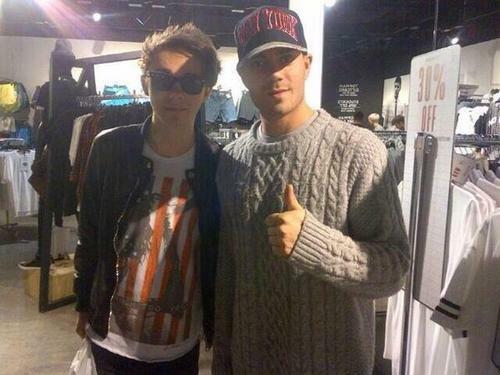 Nathan and Max. . Wallpaper and background images in the The Wanted club tagged: photo the wanted nathan siva max tom jay. This The Wanted photo might contain tabard, wappenrock, surcoat, wappenrock, oberbekleidung, überkleidung, and overclothes.